The news reports are everywhere; healthcare is a growing industry. According to The Bureau of Labor Statistics – the agency that determines the nation’s unemployment rate – the number of jobs in healthcare will grow in the next seven years, including jobs for medical assistants. For those with interest in helping others, and who enjoy the idea of helping doctors, nurses, and pharmacists to do their best work for patients, consider attending one of the state-approved academic programs at Genesis Career College’s School of Health & Medicine, to open the door. Many entry-level careers in healthcare involve completing a short – but impactful – series of courses and then passing licensing exams administered by the state in which you choose to work. Is a Rewarding Medical Career Right for You? 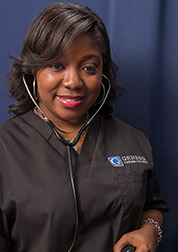 Take the Genesis College "Medical Career Training Readiness Quiz"
Medical assistants play a crucial role in healthcare, working with doctors and nurses to directly evaluate and care for patients. 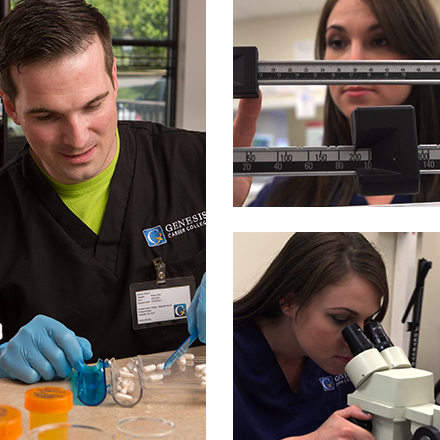 If that’s something that interests you, take a look at our Medical Assistant program.